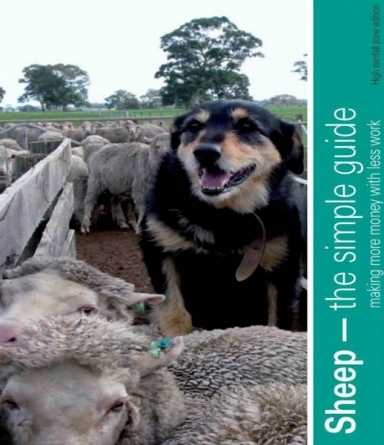 The Sheep CRC has just published it’s third “Sheep – the simple guide, making more money with less work”, this time for high rainfall zone farmers. And what a disappointment it is. 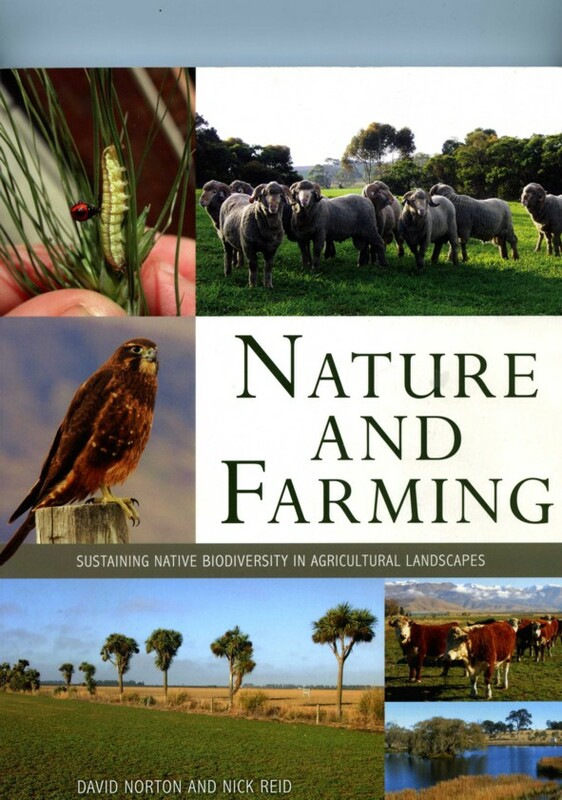 Given the amount of research and practical experience in a range of methodologies for managing livestock in conjunction with agroecology that has evolved since 1990, it is not unreasonable to expect the industry’s CRC would cover them alongside the conventional model developed in the 1970s and 80s. Yet this is exactly what the authors are doing in this series of manuals. On page 3 the authors set the context for the rest of publication with the key performance indicators of a sheep business, stating they are, stocking rate, profit from livestock trading, cost structure, gross margin, cost of production, productivity per labour unit. * ignore the growing consumer demand for credence values (environmental, animal welfare, chemical use, traceability, farm geography, farmer ethics) associated with meat and wool products they buy? 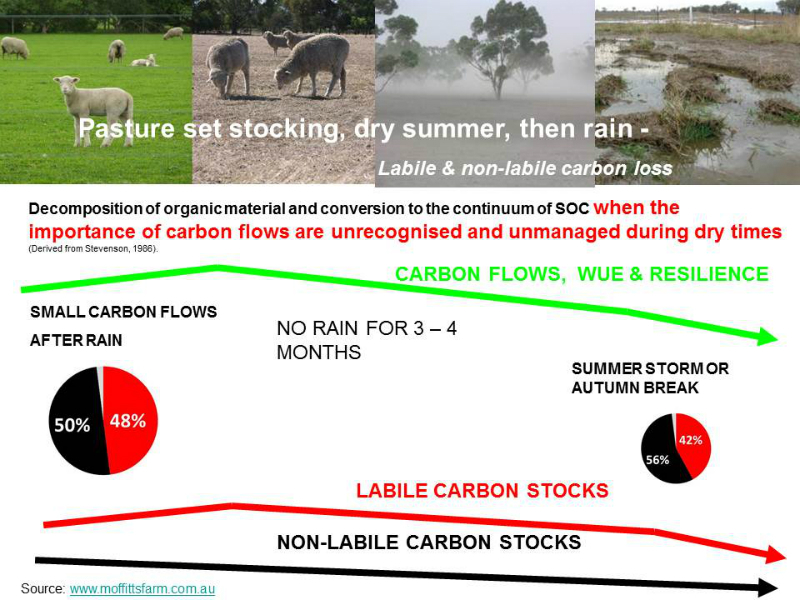 “Sheep – the simple guide” condemns maintaining levels of pasture dry matter either as green or dry mass above 3000 kg/ha, but an increasing number of farmers are managing for high levels of pasture cover year round to produce outcomes they consider are important. Management for profitability within such systems should be analysed and not dismissed as irrelevant. By ignoring most of these considerations in the manual , it looses value as an extension tool. There is an increasing number of sheep farmers looking beyond the “use it or loose it” approach for a range of ethical, social and financial reasons, and because they are not catered for in the publication, it is pointless them reading it. The CRC needs to take a far more embracing approach to such a manual and incorporate a similar level of analysis for business profitability under agroecological farming methods or produce a separate manual for this group. What needs to be recognised is there will be a similar range in business performance between average and Top 25% businesses in ecological based sheep farming systems as there is in the conventional system covered in the manual. The industry needs to move past judgmental comparisons between methodologies and accept that farmers make personal choices about the direction they want to take for a range of reasons. 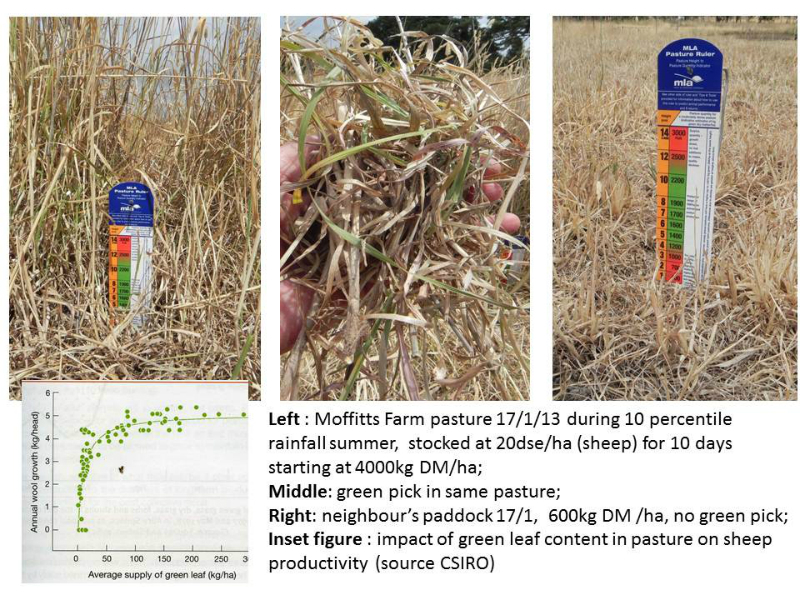 Restricting analysis to the long-standing conventional agricultural science based “use it or loose it” paradigm suggests alternatives are unrealistic or non-viable. That is clearly not the case given the numbers who have adopted the likes of holistic grazing management and/or certified organic farming. The latter groups need a credible science based “..simple guide” just like the ones being delivered to conventional sheep farmers in different farming zones. It is difficult to see how ignoring management of ecosystem services will not damage sheep farming’s profitability. The other major omission in this guide, even within the conventional “use it or loose it” methodology is analysis of shedding sheep breeds for prime lamb production. Their impact on income, cost of production, capital investment in facilities and cost of labour means they deserve to be analysed against Merino and conventional prime lamb enterprises. The only 21st century knowledge imparted in the current guide is its coverage of genetic selection and the breeding alternative to mulesing. 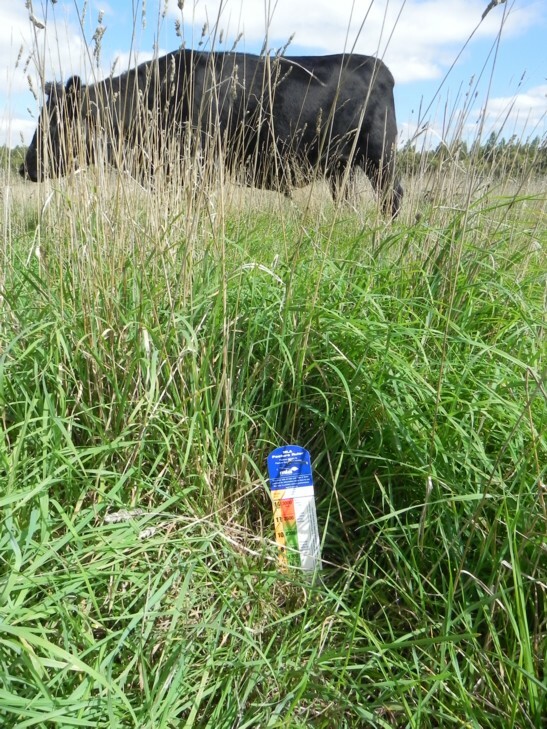 “You have been warned – mulesing will go”, the simple guide states. This is a well overdue admission about the need for change in animal husbandry techniques. This manual uses as a basic principle that “making more money” from sheep is closely associated with increasing productivity per hectare. There is now clear evidence that such an approach is not enough to run profitable enterprises in the 21st century and livestock farmers need access to the value chain. 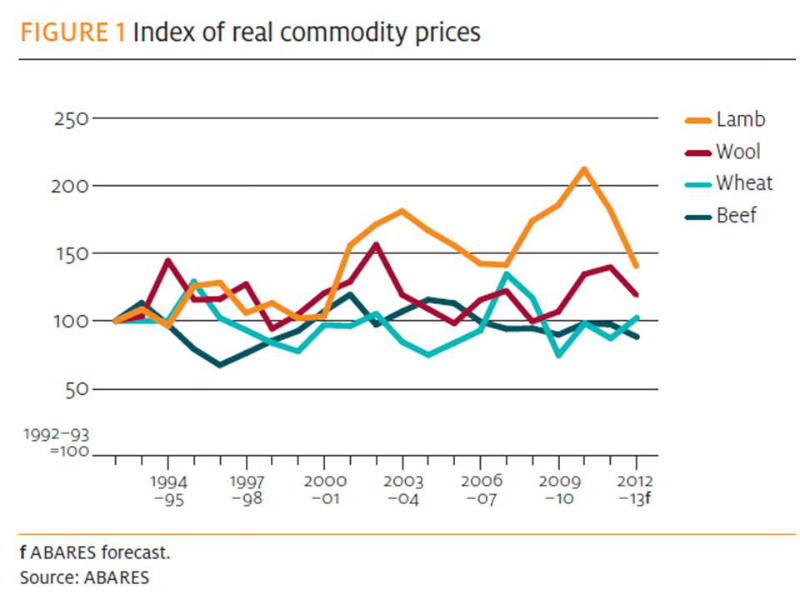 As other articles on this web site show, outlook for price increases on domestic and world markets for meats is poor and producing greater amounts of generic commodities is being undermined by increasing costs of production and by lower cost commodities produced in other countries. Smart farmers are looking for greater participation in the value chain by offering over and above food safety and quality, credence attributes consumers with sufficient income are willing to pay for. This is achievable but requires far more sophistication than maximizing production per hectare of an undifferentiated commodity such as lamb or wool. 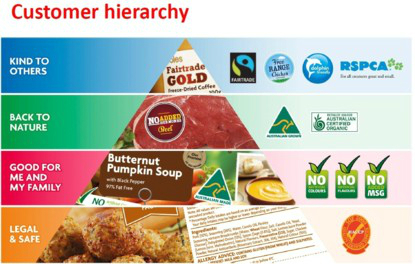 Coles “Customer hierarchy” demonstrates why the commodity culture based around maximising productivity per hectare is no longer sufficient to ensure business profitability and in some high sheepmeat and wool value chains may even deter access. This guide has failed to address the contribution the value chain can make to profitability, nor has it demonstrated important trends in prices for key inputs and outputs. These are regularly reviewed by ABARES and should have been included, an example is shown in figure 1.